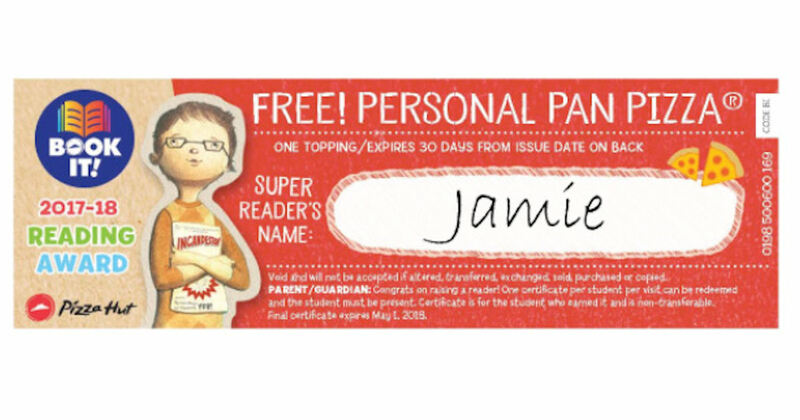 Teachers & Homeschoolers - Enrollment for the 2019-20 Pizza Hut Book It! program is now open! Scroll down and click the link that applies to you under the 'Enrollment' topic. Then complete the registration process form to receive your free Book It! program materials which includes free Pizza Hut personal pan pizza coupons!